On this page you'll find lots of ideas for planning and hosting a medieval Knight themed party for kids. With dragons and castles of course! A knight-themed birthday party is very popular with kids who like Mike the Knight or stories of St George and the dragon. It's also a good theme to mix in to a preschool or little kid princess birthday party when you have invited boys. Knights and Dragons is a classic party theme for kids. Great for kids who love renaissance fairs. It will mostly appeal to boys, but some girls would love to be knights, like Jane in Jane and the Dragon. I have two small boys aged 3 and 5. They love dressing up as knights and reenacting medieval jousts. And they love Mike the Knight on TV. You have lots of fun with this theme. And if you like you can make it a bit educational and teach kids what knights were really like and what it took to become a knight. 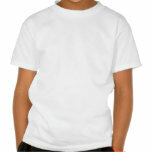 This T-Shirt is available in a range of age numbers. Just click on the image and search for 'dragon knight birthday t-shirt' to see the options. The fun knight-themed party invitations can be customized with the birthday boy or girl's name and the details of the party. All the text is customizable on these knight invites so you can pick text that fits with your style. This Knight themed tableware is very cool! It features a gallant knight riding on his steed with his jousting stick. Very cool! This is part of a whole range of matching knight supplies. This pack includes some decorations and you can get lots more to match. You can also get matching party invitations and favor boxes - filled or unfilled. 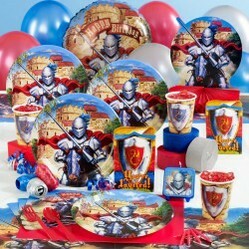 Try this very cute Knights & Dragons party tableware range. It features a very cute young knight with his green and purple dragons. You can get a tableware pack or purchase packs of plates, cups, napkins, etc. There are lots of knight and dragon fans in the UK, we have a long history and lots of myths. A banner made from triangular pennant flags is very appropriate for a knight's party. This style of flag is often included in medieval reenactments to decorate for a tournament. Hang St George flags on the walls for a cheap and effective way to decorate a room for a Knight's Party. In medieval stories St George was famed for slaying a dragon. Decorating with inflatable dragons is very effective. 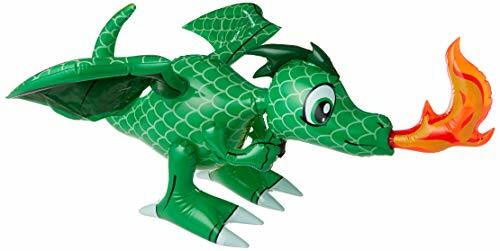 We love this cheeky inflatable dragon. Ideally you should suspend one or more dragons from the ceiling so they are swooping over the young knights. Make sure they're out of reach! You might want to let them down for some fun at the end of the party. A cardboard castle makes a great feature for a knight and dragon party. Find a huge cardboard box (often local electrical retailers will give them away) and add battlements or turrets and a door. A fun alternative is a dragon's lair or cave filled with treasure! 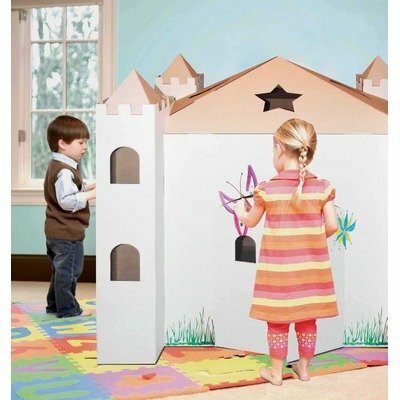 Or see below for a cardboard castle that the kids can decorate as a party activity. A cardboard house, castle, rocket or other playhouse is great fun for a kids party or other event. Get ideas to make your own cardboard playhouse or choose a kit. A castle cake is perfect for a Knight themed party. It's fun to make your own castle cake. 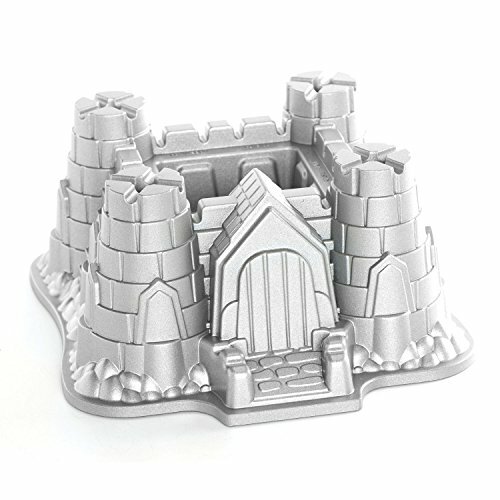 You can either build your own castle cake (see below for mine) or use a castle cake mold if you're not confident in your cake making skills. Add flags and toy knight and dragons to decorate the castle cake. Here's my castle cake. I made it from two square sponge cakes. It's actually hollow in the middle like a real castle - the spare cake was used to build the towers. The cake is covered with melted chocolate - very roughly as castles are very old! And the battlements and wooden door are made from marzipan. We went with the Welsh flag because it features the red dragon, and also my kids' grandparents live in Wales. These dinosaur eye cupcakes are my own design. OK, I admit it, I made these as dinosaur eye cupcakes originally. But they work just as well as dragon eye cupcakes. They're pretty easy to make and the kids will love the idea of eating dragon eyes! When a knight was in full armor it was so heavy that he could barely walk! He needed his trusty steed to get around. 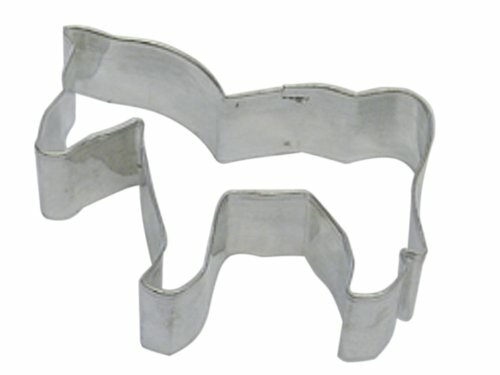 Horse cookies and sandwiches are great fun for a knight birthday party. Chocolate horse cookies work well so you get nice brown horses. Then add brightly colored fondant costumes to turn them into knight's horses. These Sword'uevres spreading knifes are great fun for a Knight party. Serve bread or crackers with a cheese spread or other spread and give the kids a Sword'uevre each. 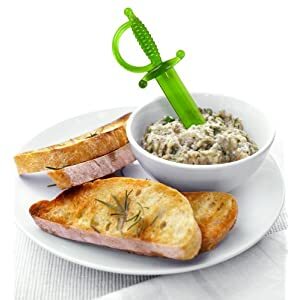 They'll have great fun with this and if you quickly wash the swords after they've eaten they can take them home as very cool party favors. A dragon pinata makes a very impressive finale to a knight and dragon party. And this Dragon Pinata is just awesome! You should put him on display throughout the party - preferable out of reach of the kids. He's just too cool to be hidden away until the end. He has a compartment for filling with treats. Chocolate coins and candy treasure work well as fillers because then you can say that you've defeated the dragon and got his treasure! Knight training is a brilliant party activity. You tell all the kids they are going to learn to be knights and then take them through lots of training exercises. You can give out prizes for effort, elegance, accuracy and making everyone laugh! My son had a brilliant time in a knight training session at a renaissance fair. They built all the kids up about learning all the skills that a knight needs - with wooden swords tantalisingly on display. And then they told them that the first activity was learning to dance like a knight for when you had to entertain the ladies. It was hilarious! They did teach the kids lots of poses with swords afterwards though. 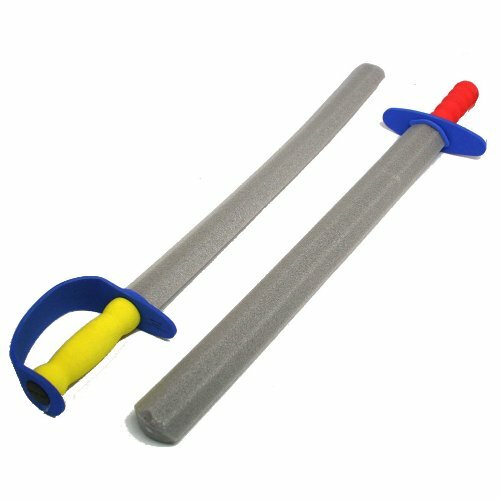 Only let kids have foam swords as part of an organised activity - a free for all is not a good idea except maybe at the end of the party. Add in some fun facts about knights. 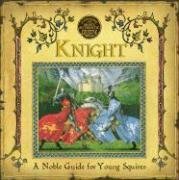 The Genuine and Most Authentic guide is a great source of knight facts for kids and makes a great gift. It's fun to have a craft activity for kids to do either at the beginning of the party, or when you want them to calm down a bit. You could get them to color and decorate cardboard shields. Or you could get a cardboard castle for them to decorate together and play inside. If you don't want too much mess then get lots of dragon and knight themed stickers and let the kids use those to decorate. Knight Keep it Up is my younger son's suggestion. 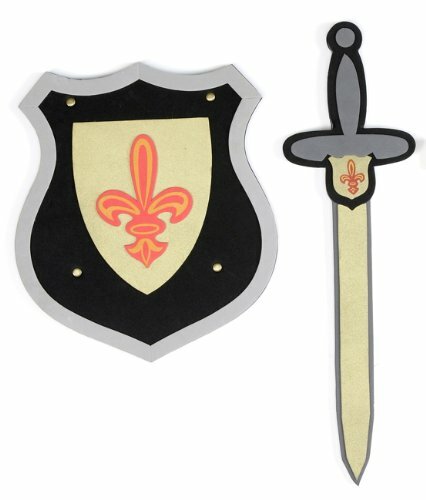 You'll need a knight's sword and shield set like this foam one (make sure it doesn't have any pointy bits on) and a balloon. The kids are going to take turns to see how long they can keep a balloon up in the air by tapping it with the shield and sword only. No balancing the balloon - it must keep moving. Time the kids and write down how long they lasted. Prizes for the winner, best save, etc. For really little kids this will be hard enough on its own. For bigger kids if you think they'll last too long then mark a box on the floor that they can't step out of. Or use two balloons! A jousting ring tournament is a fun game, but you do need a bit of space. It works well outside or in a long hall. This is based on a game played competitively by real knights on their horses. It's intended to demonstrate their skill on horseback and with their jousting sticks - you'll need a broom handle or something else long and thin to be the jousting stick - you can decorate it if you like. If you have a hobby horse for the kids to use then that is fun, but it can be done on foot too. 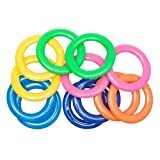 You set up a course with plastic rings on bars or hooks - anything you have that will let the kids collect them with the jousting stick. Each child gets a turn trying to collect all the jousting rings. Time the kids with a penalty for any missed rings. Make sure you tell the kids that real knights used to compete like this. You could even show them a video of a modern day reenactment of a knight's tournament. 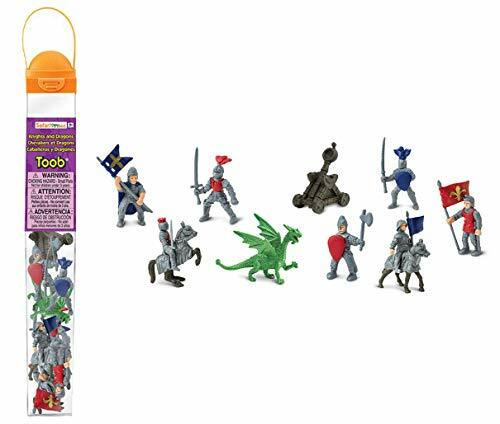 This tube of Knight and Dragon figures works well as party favors to put in party bags or boxes at the end of the party. You can also use these figures as small prizes to give out during the party. Add a tube of Safari dragon figures too. These dragons are very brightly colored and detailed. Dragons make very cool party favors at a knight and dragon party. 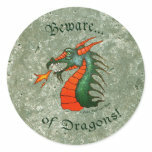 These 'Beware of Dragons' party stickers make a fun party favor to take home as a reminder of the party! They're high quality stickers and available in small or large sizes. They are also great for decorating party favor bags, water bottles and other party supplies. I also like to check for knight party favors and supplies on eBay. You can often find knight party tableware, and small party favors like knight stickers and small knight figures to use as gifts in your guests' party bags. Do you know someone who would like a Knights and Dragons party? Yes, Me! I love the knights and dragons theme seeing as I'm very much into TV shows like Merlin. My daughter would love this too. I love your castle cake - looks fab.